Excavations at the site was conducted at the site during the field seasons i.e 2000-01 has unearthed a structural shrine with four subsidiary shrines. The important antiquities include stone image of mahisasura-mardani, fragment of stella with kirtimukha, vidydharas, architectural members etc. 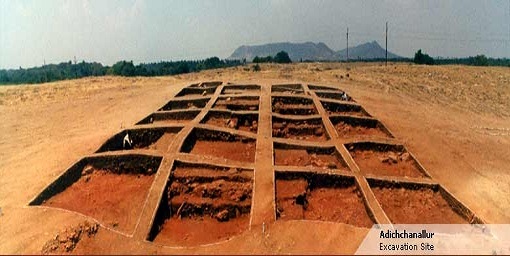 The site was excavated for three field seasons during 2000-01, 2001-02 and 2002-03. Brick platform, pathway, long walls, drains made of terracotta pipes etc are the noteworthy findings. Excavations carried out at the site during the field seasons 2000-01, 2001-02 and 2002-03 has revealed a burial site of the Ahom kings datable to 18th century A.D. Built with massive vault of brick masonary of domical roof cover with hemispherical earthen mound is partially exposed on the western side of the maidam. The octagonal enclosure wall around the maidam is also exposed. The burial goods inside the maidam were found disturbed due to pilferage, entered through a hole in the roof in past, possibly during the British period.